The multimedia franchise Love Live! about school idols has been a juggernaut in the world of anime pop culture since 2010 and the Philippines was no exception. 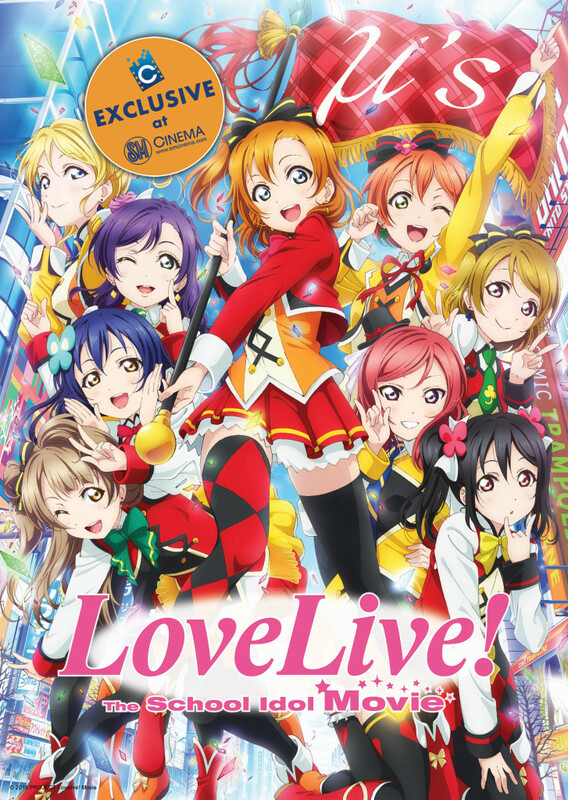 Love Live’s booming popularity took the Philippines by storm with merchandise in every anime store, cosplayers in every anime convention, and even a Tagalog dub of the anime on Hero TV. 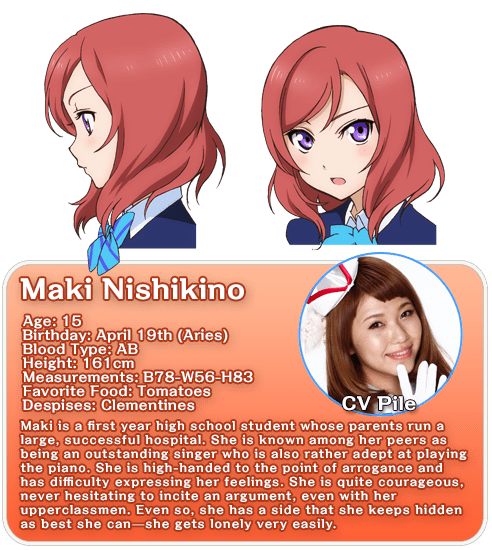 Cosplaymania knew this and prepared a major treat for Pinoy Love Livers – Pile, voice actor (seiyuu) of the beloved, red-headed Maki Nishikino. For those who are more familiar with Maki than Pile, please check out the What’s a Geek Guide to Pile. 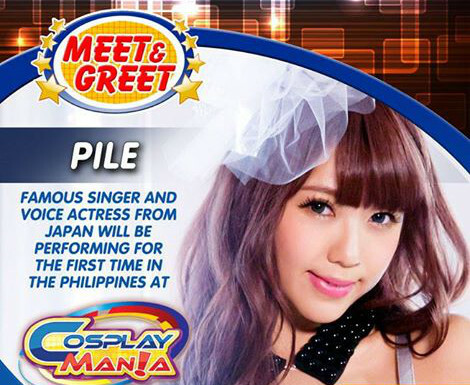 Cosmania organizers invited Pile to participate in the annual Japanese Anime Music (JAM) concert. Not only that, they arranged, not one, but two Meet & Greets with the popular singer and seiyuu. To put it bluntly, fans were ecstatic at the chance to breath the same air as “Pile-sama.” Despite being a highly controlled event, fans waited and listened with awe as she answered, via translator, several pre-screened questions that were prepared for her. Her favorite gift (omiyage/pasalubong) was dried green mangos and openly invited her audience to give some at the Nihonsei booth handling her gifts. 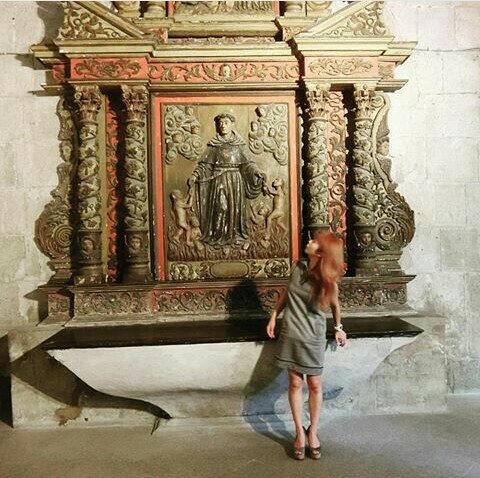 She visited a church in Manila and inquired if Filipinos sang gospel music. The audience could only reply with an unsure “sort of” while Pile expressed her desire to hear live gospel music the next time she was in the Philippines. Pile admitted to being very nervous about coming to the Philippines by herself. She knew she was more famous as part of the Love Live idol group, μ’s. She thought very deeply about her set list for the concert later that evening. Nevertheless, she was very excited about the concert and the fan meet-and-greets. “It’s a good experience to meet fans up close.” Being very busy, Pile’s lost track of the places she’s visited and recalled having gone to Taiwan, Hong Kong, and Shanghai. She dreams of travelling to France and Spain. DON’T MISS: April 2018 Events and Happenings Checklist! Pile wasn’t only here to experience sunny Philippines. She was here to perform for her adoring fans. She enjoyed making her newest album, Jewel Vox. Her previous songs were usually high tempo songs, so it was a nice change of pace to record slower and more mid-tempo songs. “It was fun singing ballad-type songs,” she said about her album. When asked what her favorite song was, she declared that it was Itsuka Kimi ni Todokeru Sekai. It had a particular place in her heart, seeing it as a special tribute from her to her fans. 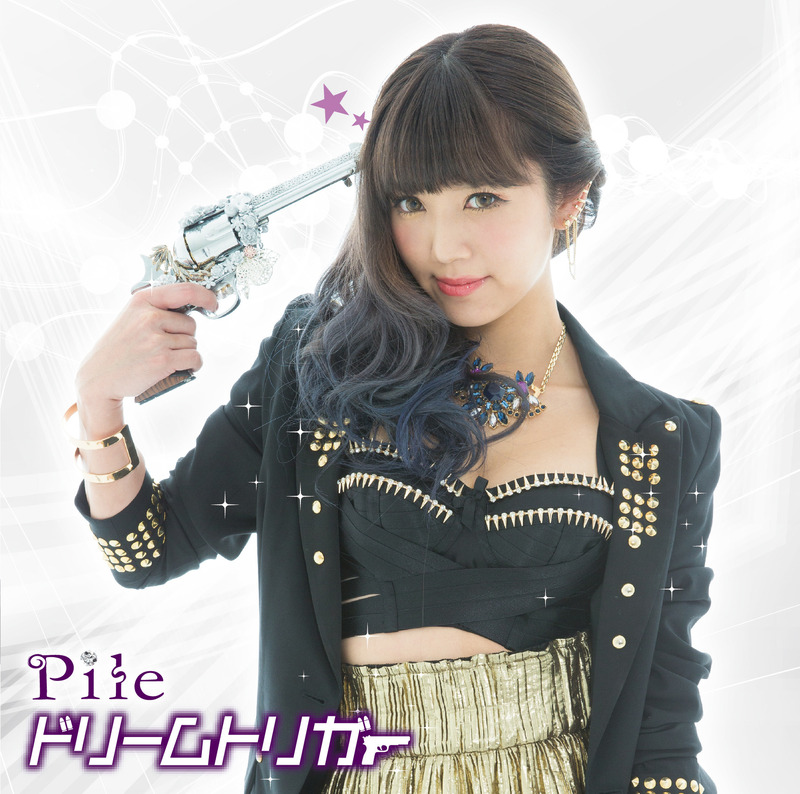 Pile also has an upcoming single, “Dream Trigger,” the third theme song for the World Trigger anime series. Pile laughed because this music video was different from the previous ones. Pile invited everyone to come watch her solo live shows, starting in November. The crowd enthusiastically shouted, “Yes!” She smiled at the resounding support and encouraged them to look forward to her new single. Pile’s method for preparing for her solo shows was certainly unique. “I don’t listen to any of the songs I will sing.” Unlike many other artists, she prefers to listen to something different in order to boost herself up. DON’T MISS: TGS 2017: Bringing the Anime to Life with Dragon Ball FighterZ! Pile started out as a singer first, then became a seiyuu after joining Love Live. “When I see the performance of other voice actors, I realize I’m not quite there yet,” she said. She added that she would love to do more anime voice work, though. This inaugural meet and greet capped off a group picture with Pile. The back portion of the room all crammed together to try to make sure everyone gets seen with their idol. Afterward, Pile handed each attendee an autographed picture of herself. It worked with typical Japanese efficiency. One by one, everyone approached Pile, was handed the photo, and promptly ushered out the door. Even though we weren’t allowed to shake her hand or take a selfie, being face to face with Pile was more than any of us could have dreamed of prior to this moment. Thank you, Cosplaymania for this first-of-its-kind event. We, at What’s A Geek, look forward to more surprises in the years to come! Hope to see you again soon, Pile!